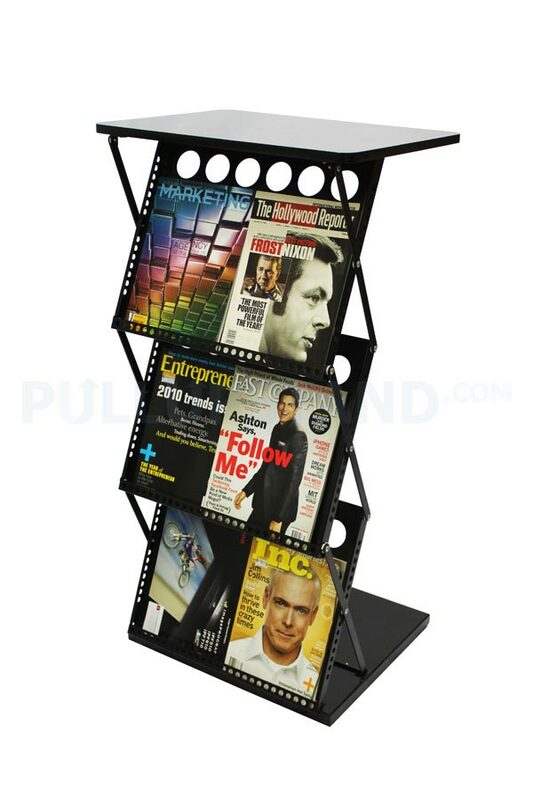 them nicely presented on our selections of brochure stands. 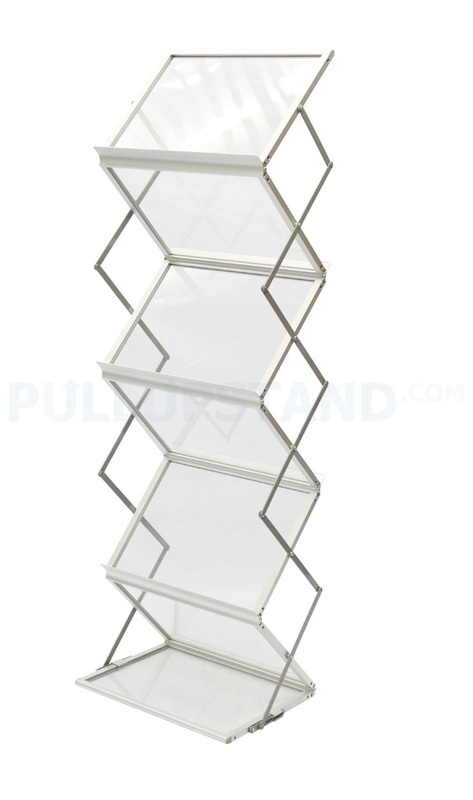 The Zig Zag Brochure Stand is ideal for displaying brochures, magazines and corporate literature in the office or at exhibitions and corporate events. 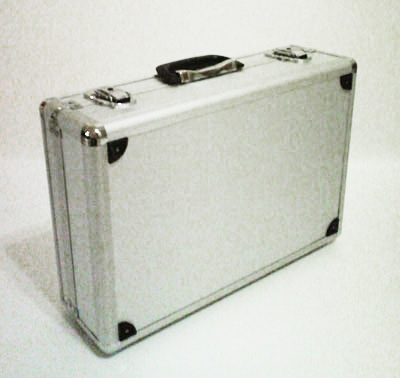 For storage, it easily folds down into a compact size and can be kept in a solid aluminium case. 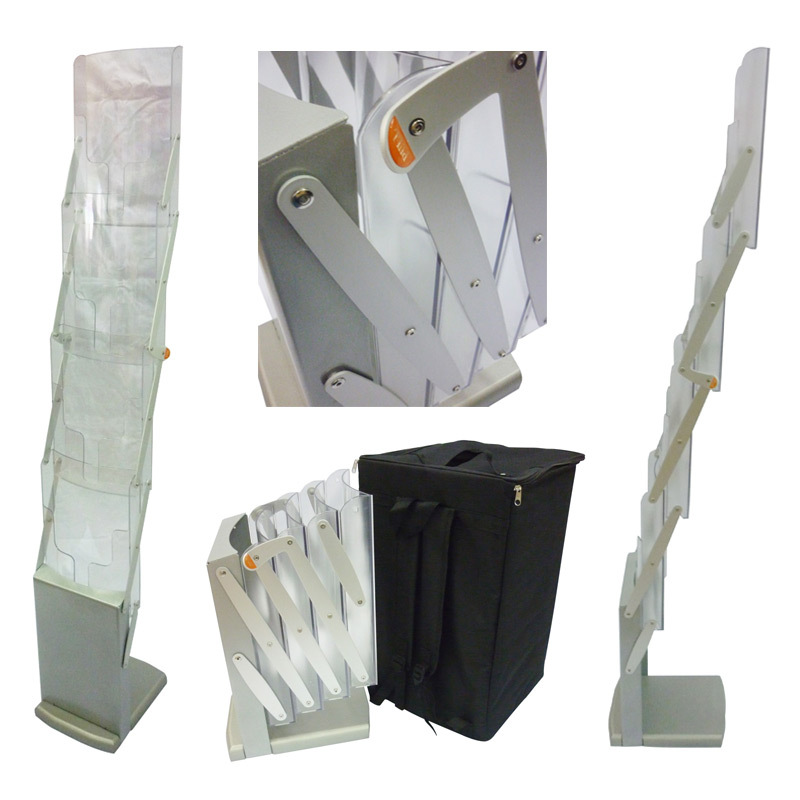 The Zig Zag Brochure Stand is ideal for displaying brochures, magazines and corporate literature in the office or at exhibitions and corporate events.For storage, it easily folds down into a compact size and can be kept in a solid aluminium case. 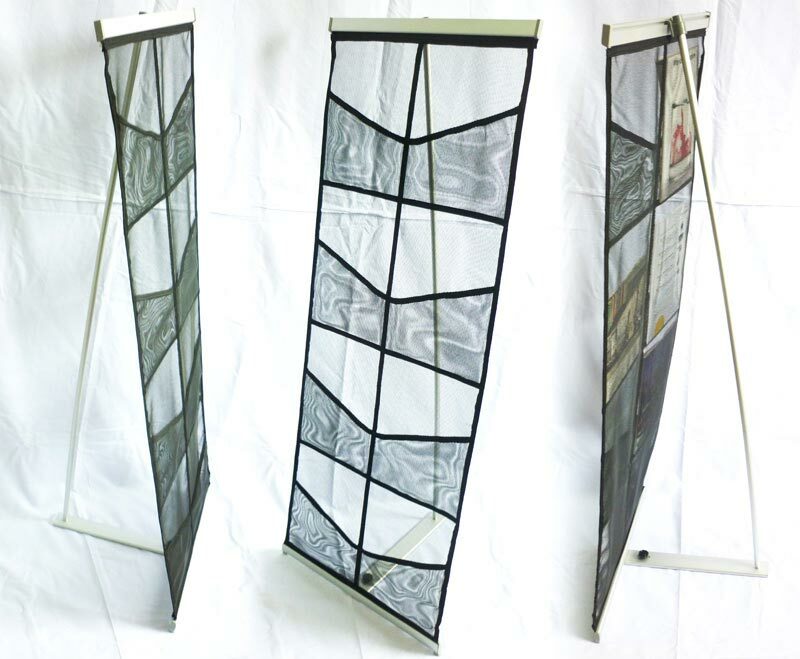 The A3 size Zig Zag allows you to display various sizes of brochures, side by side. I’m very happy with your services and products. I particularly like that you always deliver in time and that i can ask for your advice. It’s always helpful to have someone who thinks along. You definitely served to my expectations. As an interior designer i need to deliver on time for my clients. 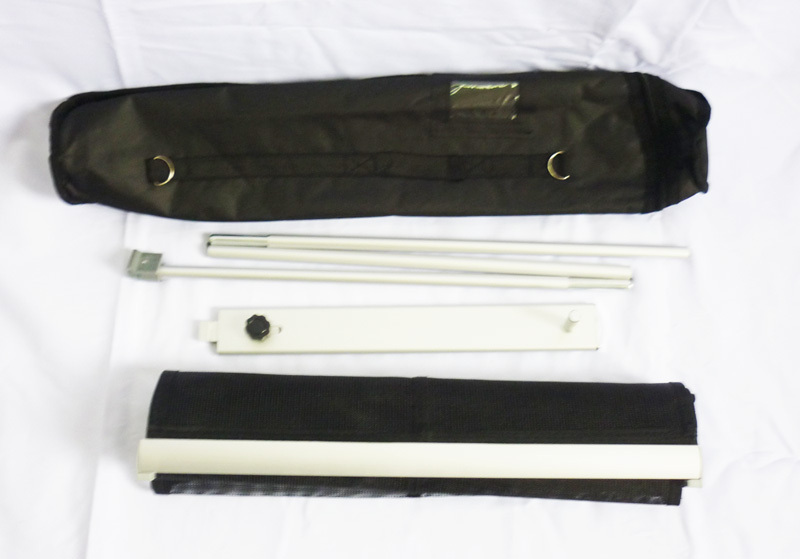 In Pullupstand i have found a very dependable partner in my printwork; the quality is perfect, the service outstanding. Even if my demands can sometimes be out-of-the-box, this is never a problem and they always meet the deadline! Pullupstand.com has been extremely helpful and responsible throughout our collaboration. Even given short timelines, they were able to deliver quality products, much to out satisfaction. Great job! Do look forward to future collaborations with them! 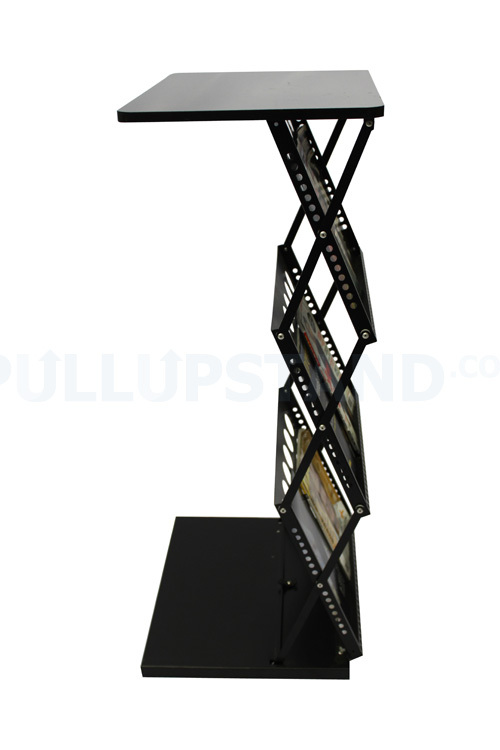 Pullupstand is one of those vendors that truly enjoy working with. They are very prompt in their response and they never fail to deliver beyond our expectations. People are still talking about Lisa’s birthday party. It was a big success and the banners were a talking point! Really good. Thank you for expediting the banner. We appreciate your speedy action and support. The design and layout was exactly what we had in mind. I really appreciate that you managed to come out with the HI-res copy for the printing. What an excellent service you provide. Great job! Thank you for taking the extra step. The banners look great. I would like to thank the entire team for the wonderful work. You guys do quality work and provide excellent service. 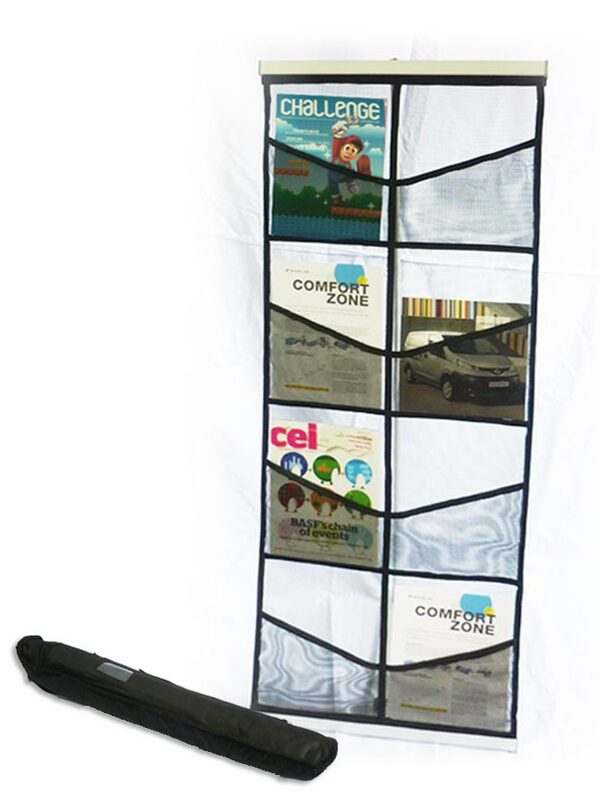 The Zip Up Brochure Stand is ideal for displaying brochures, magazines and corporate literature in the office or at exhibitions and corporate events.For storage, it easily folds down into a compact size and can be kept in a canvas carrying bag. 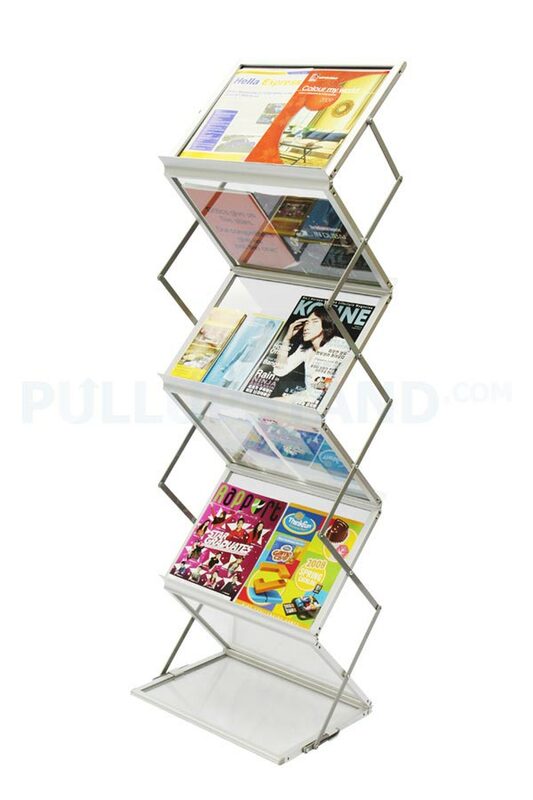 The Revolving Brochure Stand is perfect when you have a large selection of brochures and catalogues to display. 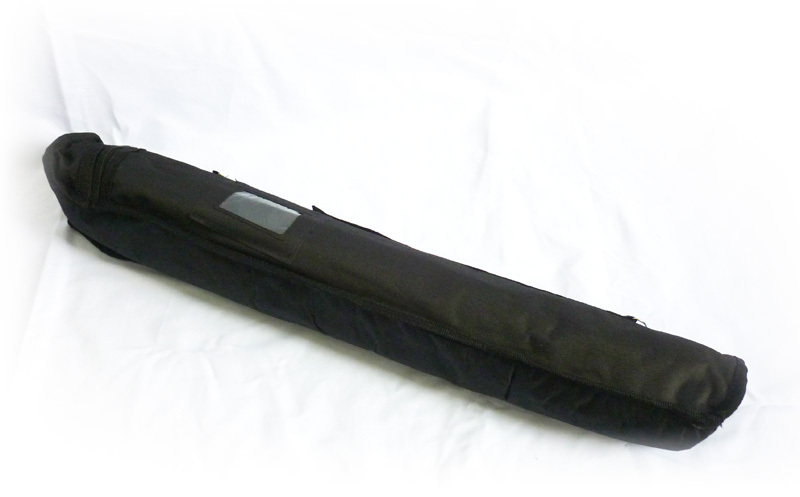 Ideal for use at reception areas and educational institutions. 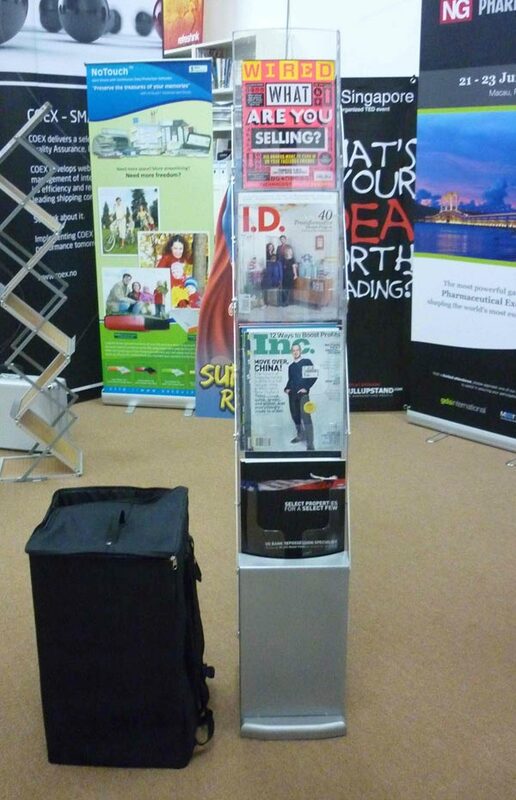 The Black Zig Zag Stand is ideal for displaying brochures, magazines and corporate literature in the office or at exhibitions and corporate events.For storage, it easily folds down into a compact size and can be kept in a canvas case. 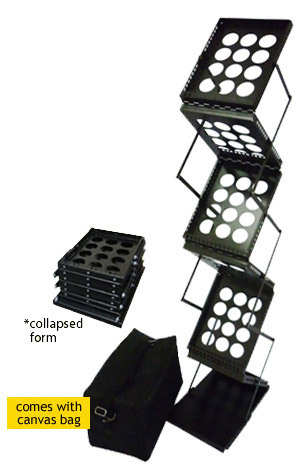 The Black Zig Zag Stand with tabletop is perfect for use at exhibitions and marketing events. 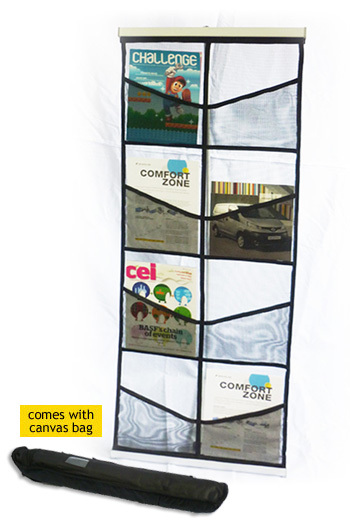 The 3 compartments can hold brochures up to A3 size, while the tabletop allows ample space for your collaterals (eg. namecards, leaflets) and for an impromptu discussion counter with prospective clients. 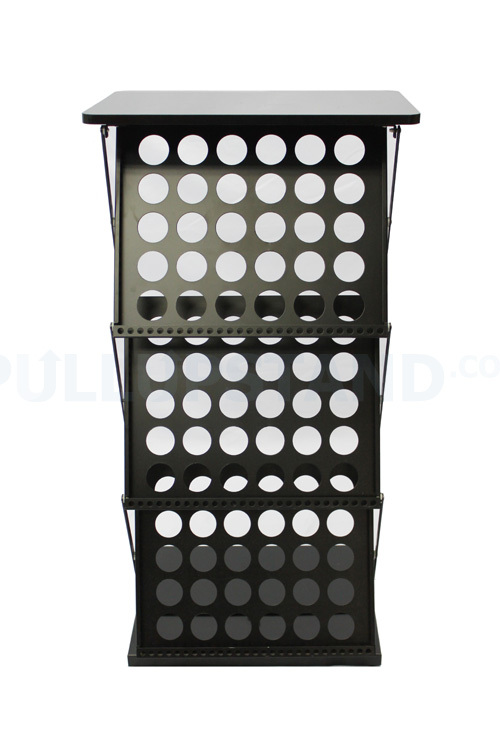 The Netting Brochure Stand is highly portable and can be easily rolled away when not in use which makes it a favorite for travelling marketers for use at exhibitions and marketing events, locally and internationally. 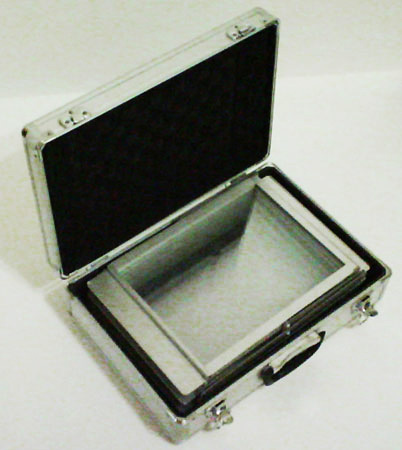 There are 8 compartments to prominently display your company brochures. 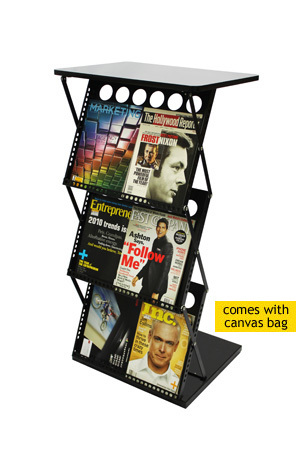 Why Would I Need a Brochure Stand? Brochures, catalogues and magazines are highly popular and commonly seen in exhibitions and marketing events. 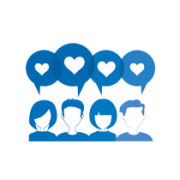 They are handed out to visitors and manage to capture your company profile in a nutshell. But you can’t be handing out flyers and brochures the whole day at the event, so that’s when a brochure stand comes in particularly handy. 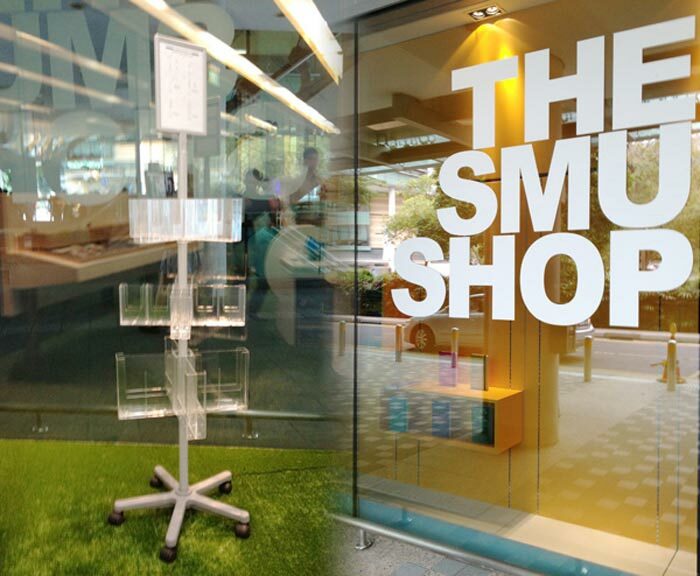 The brochure stands we have selected in this section have one thing in common: portability. 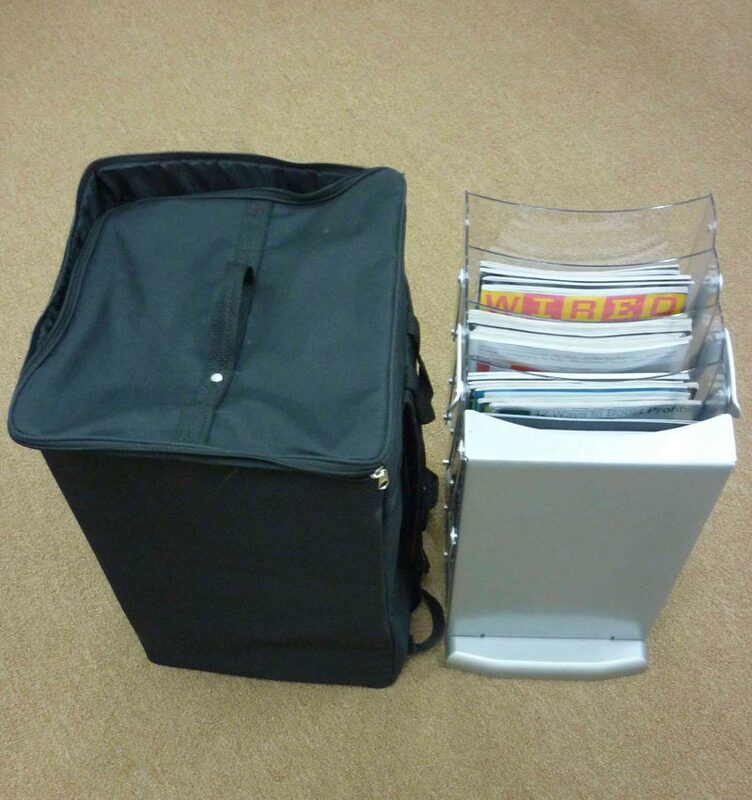 With the exception of the Revolving Brochure Stand, the brochure stands can be collapsed easily and packed into a carrying case or canvas bag. And while you’re busy charming potential clients and sealing million-dollar contracts at your exhibition, you can rely on good ol’ Brochure Stand to be working hard at the frontlines of your booth, dispensing your brochures, leaflets, catalogs and flyers with no sign of weariness and never requesting for a smoke break or a toilet break. You’ve Convinced Me. 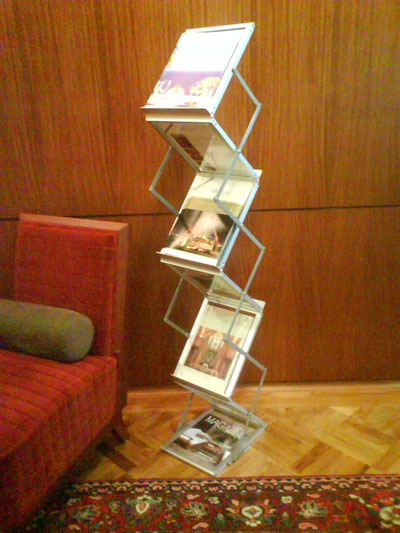 How Fast Can I Get My Hands on One of These Beautiful Brochure Stands? 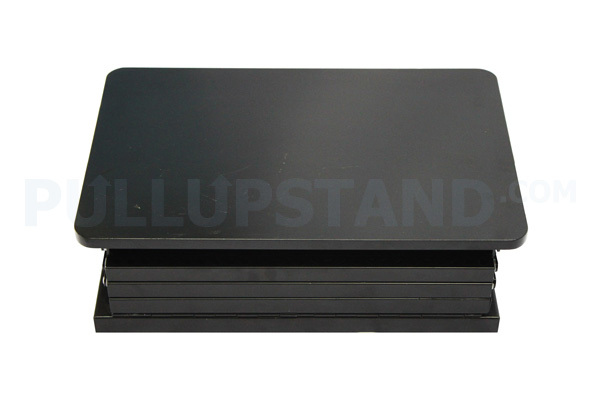 We have ready stock for most of these stands. Give us a call or fire us an email to place your order. 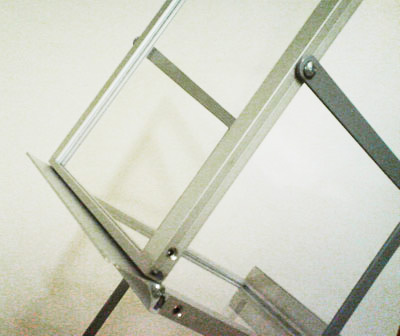 We can deliver (within Singapore) usually within 1-2 working days. 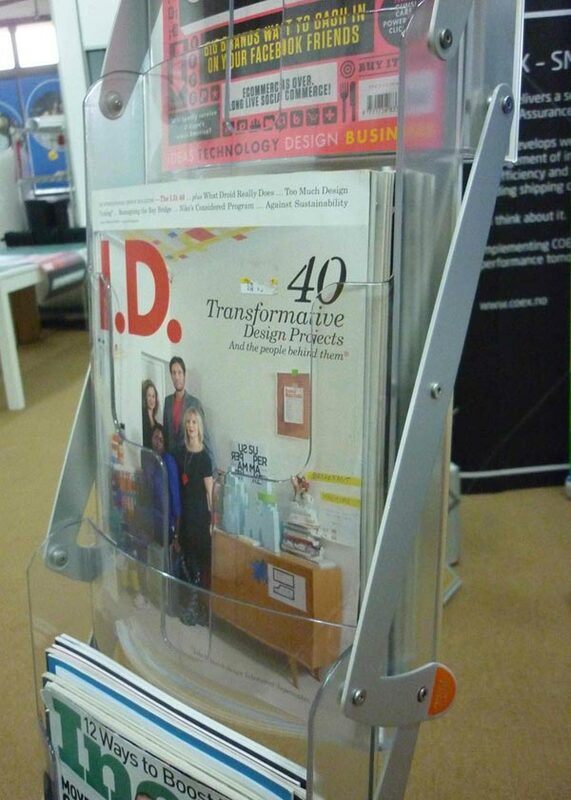 What’s A Revolving Brochure Stand and Why Does it Revolve? 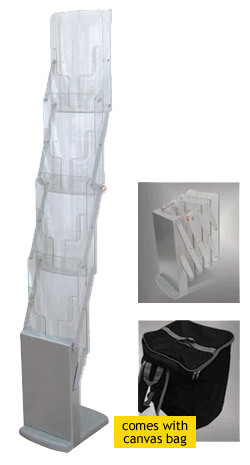 The Revolving Brochure Stand is a one-of-a-kind brochure stand. 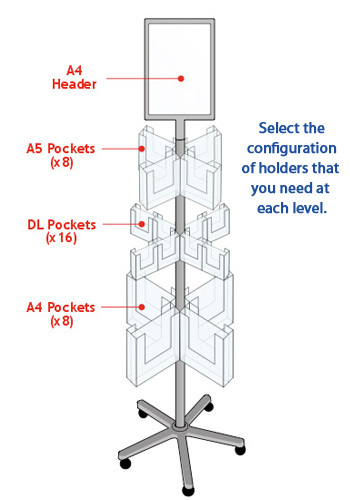 You can choose to mix and match the modules so that it can hold an assortment of A5, A4 or DL sized brochures. 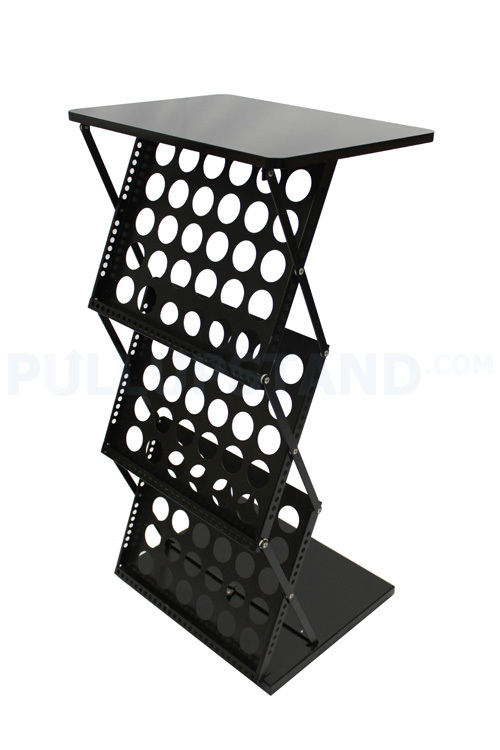 It has wheels so you can easily wheel the stand around. And it has an A4 header at the top where you can insert an A4 poster with your logo or something nice in it. It’s commonly found in schools, hospitals, offices, the reception area of your favorite dentist and more. 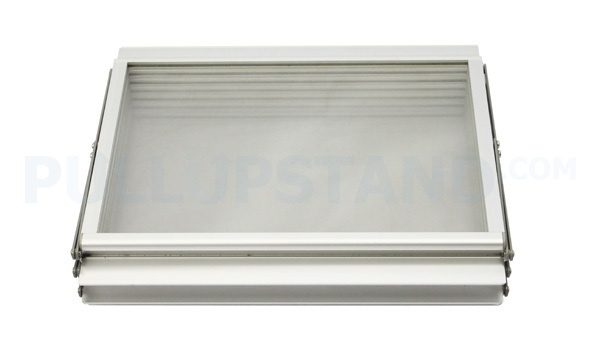 The revolving function of the modules is very fascinating to watch and has been known to thrill users. Please use with caution and do not go overboard. Wait. 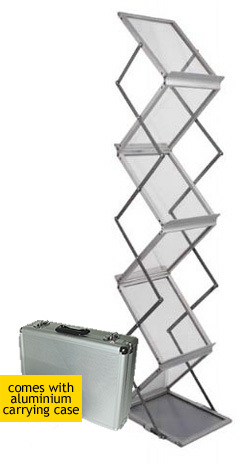 What’s a Brochure Holder? Brochure Holders are nifty little injection-molded acrylic pieces that you can put on a desktop, table or promotion counter. They can hold A4, A5 or DL sizes of print collaterals such as brochure, leaflets and flyers. 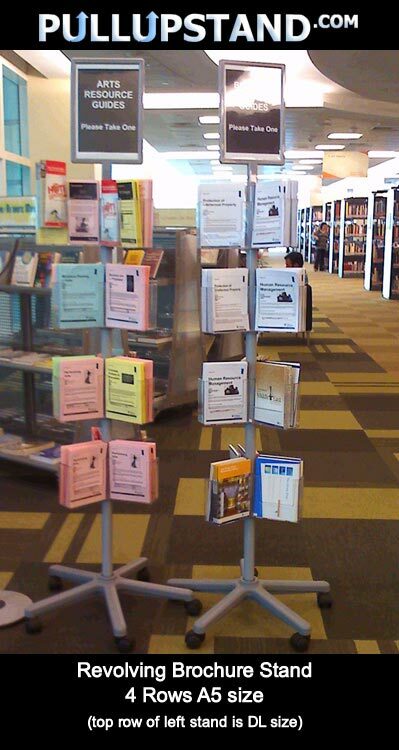 You can use them at areas where you need to display your brochures and users/customers can easily help themselves to the informational literature stored inside the brochure holders. 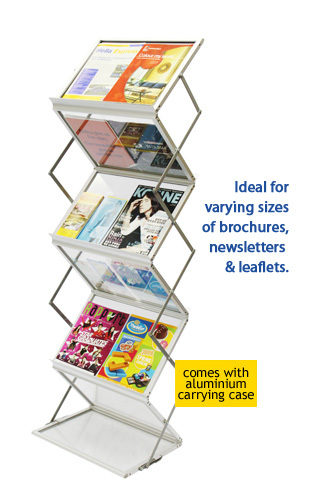 We also provide delivery for your brochure stands and brochure holders. There is a delivery charge applicable, from $20-$30, depending on location in Singapore. Do check with us.